Kyle Edmund and his coach, Fredrik Rosengren, explain how everything in the young Brit's game has come together on his stunning run through to the Australian Open semi-final. Marin Cilic beat Kyle Edmund 6-2 7-6(4) 6-2 to become Croatia's first Australian Open finalist. 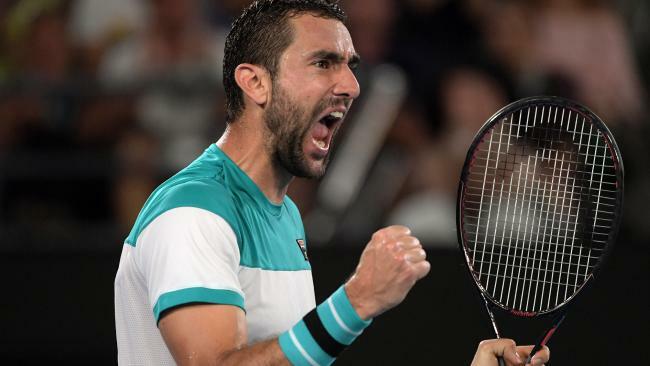 Cilic had won his quarter-final when Rafa Nadal retired hurt in the fifth set, and was again ruthless against a hobbled opponent, ending Edmund's dream run after just two hours and 18 minutes under the lights at Rod Laver Arena. Sealing the match with a thumping serve, the 2014 U.S. champion will bid for his second grand slam title against the winner of Roger Federer and South Korea's rising star Chung Hyeon. He will enjoy two full days off after his center court cakewalk which left the largely pro-Edmund crowd cold on a hazy, moist evening. Kyle Edmund was taken the distance before he outlasted Denis Shapovalov in the opening round of the Brisbane International. Edmund, who prevailed 6-7(5) 7-6(4) 6-4, struggled with his serve right from the start of the match but managed to save five out of six break points to overcome his opponent in two hours and 30 minutes. Kyle Edmund begins his 2018 campaign this week in Brisbane and says that he is ready to make an even bigger impact this season. Kyle Edmund strikes a perfect lob during his match against Lucas Pouille in the semi-finals of the Erste Bank Open 500 on Saturday. 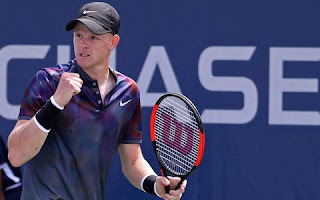 Kyle Edmund reacts to reaching his third ATP World Tour semi-final of the year on Friday with victory over Jan-Lennard Struff at the Erste Bank Open 500. 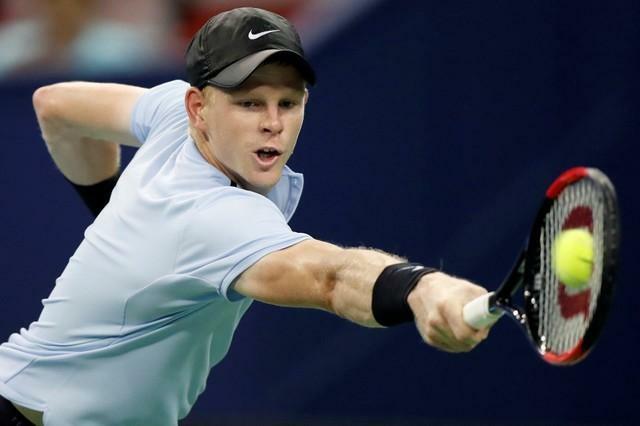 Kyle Edmund scrambles to save a point against Dennis Novak in the second round of the Erste Bank Open 500 in Vienna, turning a slice into a winner. Kyle Edmund speaks to the press after his R3 retirement. Denis Shapovalov's U.S. Open star continued to rise on Friday as the Canadian teenager moved into the fourth round of the year's final grand slam when Briton Kyle Edmund retired with injury trailing 3-6 6-3 6-3 1-0. 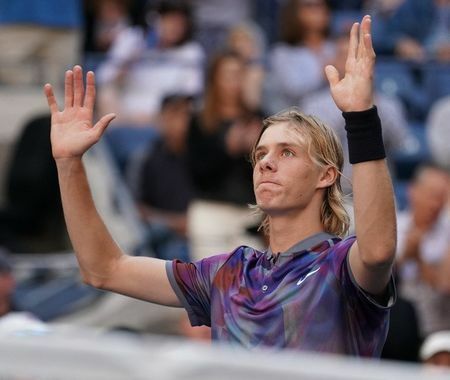 The charismatic 18-year-old has had Flushing Meadows buzzing and while his win over the wounded Edmund did not light up Arthur Ashe Stadium court it did provide another glimpse of the talent former world number one Mats Wilander has described as a combination of Roger Federer and Rafa Nadal. Kyle Edmund and Steven Johnson face off in R2 on Louis Armstrong at 4 p.m. The Scots could celebrate an early victory for one of their own – but not the usual fellow. Cameron Norrie, whose father was born in Glasgow, needed only 94 minutes to score his first grand-slam win out on the boondocks of Court 14. It would be hard to imagine a more roundabout route than the one Norrie has followed to reach this victory, which will carry him inside the world’s top 200 for the first time. He was born 22 years ago in Johannesburg, South Africa, to a pair of micro-biologists whose scientific expertise has given them the freedom of the globe. Kyle Edmund pulls off the comeback upset against Steve Johnson with a 5-7, 6-3, 6-3 victory at the Winston-Salem Open. 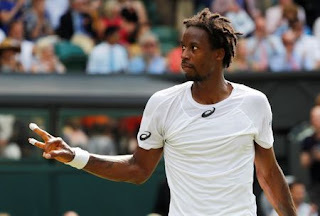 Gael Monfils defeated Kyle Edmund highlights in the second round of Wimbledon 2017. Gael Monfils defeated Kyle Edmund 7-6(1) 6-4 6-4 to reach the third round at Wimbledon. Monfils will face Adrian Mannarino next. "I think I'm a good tennis player, but I've never done so good on grass. Never actually passed the third round at Wimbledon. Never had great result on grass," he said. Kyle Edmund talks about his love for motor racing, how he strives to keep a balanced life and how he stays focused on the reward when it comes to putting in the hard work in this ATP Player Profile. Watch as a bird remains determined to get a true courtside view of Rafael Nadal and Kyle Edmund battling at the Monte-Carlo Rolex Masters. Watch Hot Shots as Kyle Edmund can do no wrong in his second set against Rafael Nadal at the Monte-Carlo Rolex Masters.